Investing wisely is an important part of achieving your long-term goals and preparing for retirement. Keeping track of your investments isn’t hard, but it’s something that can fall to the wayside when you’re busy raising kids. 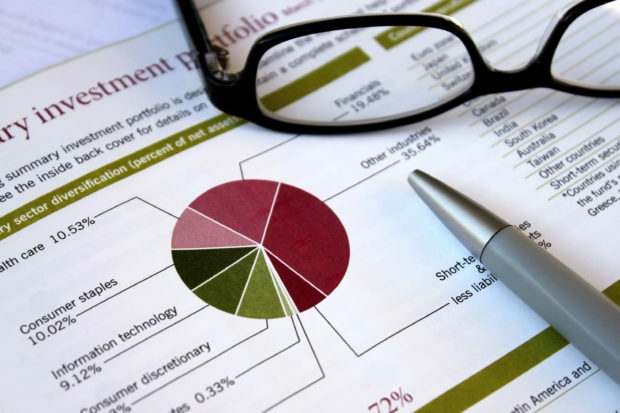 Neglecting your investment portfolio can have serious consequences, so it’s important to keep on top of it. Asking yourself the four questions below as part of an annual financial review can make a difference between meeting your long-term goals or falling short. Even on a $100,000 portfolio, a 1% difference in portfolio return can equate to hundreds of thousands of dollars over time. What Is Your Asset Allocation? Review all the accounts you own and where they are held. Look at all personal and joint brokerage accounts as well as retirement accounts. Nowadays people change jobs so frequently and often accumulate several 401(k)’s along the way. LinkedIn reports that Millennials have an average of four jobs in their first decade out of college, double the number of the generation before. You may consider rolling over these accounts into an IRA, tax-free, in order to manage the assets more efficiently as one investment pool. A sure way to lose out on money is to forget where it is. Then look at what type of assets you own. How much cash do you have? What portion of your portfolio is invested in stocks vs. bonds? Historically many advisors recommended a 60/40 mix – meaning 60% in stocks (and stock funds) and 40% in bonds (and bond funds). However, there is no magic number that fits every portfolio. Generally, the longer your investment time horizon and less your need to withdraw funds from the portfolio, the more risk you can take (i.e. higher allocation to stocks which typically are more volatile than bonds). It is important to periodically review your asset allocation since factors such as liquidity requirements and risk tolerance may change over time. An allocation of 70%-80% to stocks is often appropriate for someone in their 20s, while that allocation is likely to be significantly less for someone closer to retirement. Major life events, such as the birth of a child, marriage, or divorce can also change your need for cash and alter your optimal asset allocation. How Is Your Portfolio Performing? When reviewing your portfolio, check to see how it performed over the last quarter, the last year, and the last 5 years. While absolute earnings are important, looking at the return of your investments in comparison to the broader markets is often a better assessment of your portfolio’s performance. In 2008 when the U.S. stock market fell over 35%, a negative 10% return on a portfolio of U.S. stocks would have been stellar. Similarly, a positive 10% return for the year may sound terrific on the surface, but it would have been a poor performance in 2009, when the U.S. market rose over 25%. To evaluate your portfolio’s relative performance, you can compare the performance of each investment you hold to an index. For example, you can compare a U.S. stock fund’s returns to the S&P 500, which measures the stock performance of 500 of the largest U.S. companies and widely regarded as being the best measure of the overall market. While bond funds are somewhat more complicated to compare, you can look to the Barclays U.S. Aggregate Bond Index. If your portfolio consists of both stocks and bonds, you can evaluate your total return over the time period vs. a blend of indices over the same period. For example, if you have 60% of your money invested in stock funds and 40% in bond funds, you can assess your return against a blend of 60% S&P 500 / 40% Barclays Aggregate. This is a good way to measure whether your investments as a group are adding value versus simply buying low-cost, index funds. When comparing returns, be sure the performance figures for your investments are net of all fees (explained below). Your financial advisor should be able to provide you with these or similar calculations. If you do your own investing, Morningstar.com is a great resource and provides performance of many commonly used indices. If your investments are underperforming their respective benchmarks over a significant period of time, it may be a sign that the person picking your investments -whether that be you, your financial advisor, or a mutual fund manager – should be replaced. Often overlooked but so very important are fees. Recently a friend asked me to review her portfolio. She could not understand why her account value was going down month after month. Her advisor had put her in some mutual funds which he highly recommended, and he claimed to be charging “no fee.” After reviewing the investments, it became clear to me that fees were in fact the culprit. There are two main categories of fees when it comes to investing: 1) advisory fees, and 2) underlying investment fees. The advisory fee is the amount you pay to the financial advisor or firm who you hire to manager your money. It is often based on a percentage of assets under management. For example, if you have a $100,000 portfolio and the advisor charges 1.0%, you would pay $1,000 annually. My friend paid no advisory fee. But her advisor was being compensated on commissions from the funds in which he had invested her money. The underlying investment fees are the costs relating to the actual investments. In the case of mutual funds, they have annual expenses which are the costs of running the fund. Since these expenses are embedded in the mutual fund’s price, you would not see the money leaving your account. An actively managed US stock fund may have expenses of 1.0%, while bond funds’ expenses may be half of that. There can be large variation among mutual funds so it is important to pay attention. Additionally, there are sometimes additional fees such as “loads” or 12b-1 fees – commissions that a broker may receive for selling you an investment. In my friend’s case, she paid 5% sales loads on all her investments. Her initial $100,000 investment was down to $95,000 on day one. Even worse, her advisor sold some of the mutual funds she owned and bought other funds, also with high loads. So she lost yet another 4-5% of her money. As my friend’s case illustrates, high fees can result in losing money instead of earning money, so it is crucial to be aware of all the fees that can be eating away at your wealth. Always ask questions if you are unsure, and don’t stay with an advisor who you feel isn’t being straightforward. Are You Minimizing Your Taxes? If you have investments in taxable accounts, consult with your financial advisor or accountant to be sure you’re minimizing your taxes. Selling assets that have suffered a loss can help offset capital gains taxes on assets you have sold or, to a limited extent, taxes on other income. Tax planning can have a significant impact on your bottom line and should be part of your overall investment strategy. When you’re raising kids and retirement is a long way off, keeping track of your investments can be the last thing on your mind. However, with attention to a few key questions, you can maximize your earnings potential. If you sit back and think about how much time and effort went into building your wealth, it is a small price to pay for protecting and growing your savings. Amy Brackett, CFA, is a Senior Vice President at The Solaris Group, and manages investments for individuals, families and non-profit institutions. Solaris is a specialized wealth management and investment consulting firm. The hallmark of the firm is to approach each client individually and with a deep understanding that the optimal portfolio is as much driven by the client’s circumstances as it is Solaris’ view of the markets. Amy serves on the Finance Committees of Aghozo-Shalom Youth Village and The Bogliasco Foundation, and is on the Boards of Bowery Babes and Moms in Training, a program to benefit the Leukemia & Lymphoma Society. She lives in Manhattan with her husband and two children. You can contact Amy at brackett@solarisgroupllc.com.